Vaping represents one of the most exciting public health opportunities of our generation. If regulators and tax authorities introduce inappropriate and disproportionate regulatory and fiscal regimes then smokers will not make the switch and a once in a lifetime opportunity will have been missed. 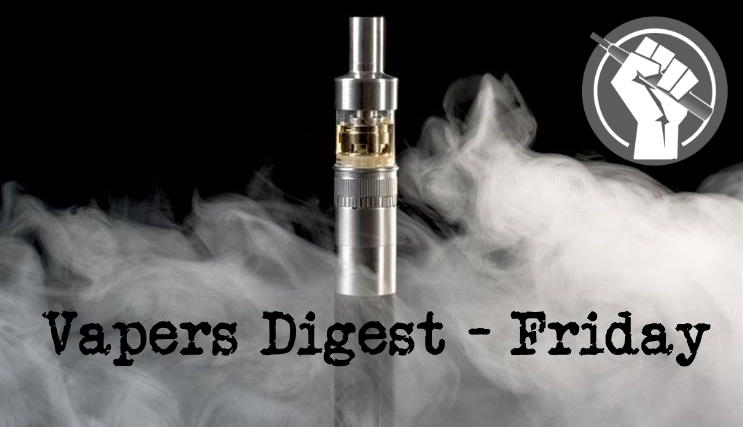 Few months ago, the South Africa Ministry of Health proposed a new tobacco and e-cigarette regulation bill and initiated a public commentary period that expired on August 9. Two days ago, I submitted a comment to the South Africa officials, expressing my concern about the many of the proposals included in the bill. In brief, the bill makes no differentiation between e-cigarettes and combustible tobacco cigarettes. In fact, they define use of e-cigarettes (i.e. vaping) as smoking. As a result they apply the same restrictions in marketing, advertisement and enclosed public place ban as smoking. Allianz Arena und der FC Bayern stellen sich gegen die Tobacco Harm Reduction Strategie. A recent report by the CSIRO, E-cigarettes, smoking and health provides strong support for vaping as a way of reducing the harm from smoking in Australia. The 400-page scientific review of the literature was funded by the Australian Commonwealth Department of Industry, Innovation and Science. The Commonwealth Scientific and Industrial Research Organisation (CSIRO) is an Australian government agency. The report finds that there are health benefits for smokers who switch to vaping and that uptake by non-smokers and young people is rare. The net benefit from that is positive for public health. Vape advocacy organisation, Legalise Vaping Australia, today responded to the CSIRO’s literature review into e-cigarettes noting the CSIRO discovered many of the benefits offered by vaping only to bury them in their report. Brian Marlow, Campaign Director for Legalise Vaping Australia was pleased to hear that the CSIRO had turned their attention to investigating the many benefits of vaping, however expressed concerns about how their conclusions were presented. Academics at the Australian University of Newcastle’s School of Medicine & Public Health have released details of a proposed study. The aim is to see if vaping can help drug and alcohol dependents quit smoking – but is there a fatal flaw in the methodology? The research is being conducted in conjunction with Monash University, Eastern Health, The University of Queensland, The Cancer Council, and the School of Population and Global Health at the University of Melbourne. By July 2018, under the requirements of the revised EU Tobacco Products Directive (TPD), manufacturers and importers had notified their intention to place more than 185,000 electronic cigarettes and refill containers on the market. This figure was given by the EU Commission yesterday in responding in writing to a question posed by the Maltese member of the European Parliament, Roberta Metsola who had asked whether the Commission could ‘already provide information on the implementation of the Tobacco Products Directive for e-cigarettes in the EU member states’. 08-08-18 is a date that will live in infamy as the day that shook the vape industry to its very core! On 5-10-16, we had a very real and direct wake up call that threatened our very existence as we were told we were being regulated like tobacco of all things! On 08-08-16 we were officially under the tobacco umbrella with the FDA, and our regulatory pathway was unleashed upon an industry that was more concerned with selling cartoon labels, huge clouds, and devices that could power a small vehicle. Organisations representing e-cigarette users and vapers in India today appealed to the Health Ministry to not impose an outright ban on Electronic Nicotine Delivery Systems (ENDS) and vaping in the country, saying it would deprive millions of smokers of safer choices and cause damage to public health. “Vaping could be a ‘gateway’ to smoking for teenagers, study shows,” writes Tony Diver in the Daily Telegraph. A study shows this, he claims. Yet again, the study by Coventry academics shows nothing of the sort – but Diver appears unrepentant. When questioned on social media, Diver became defensive and pointed to “the research”. The recent Oxford University alumni is no scientist and, so it would seem, isn’t much for delving deep into a subject as a journalist either. On August 2, 2018, just over one year since FDA announced its “Comprehensive Plan for Tobacco and Nicotine Regulation” (hereinafter, the “Comprehensive Plan”), FDA Commissioner, Scott Gottlieb, M.D., and Center for Tobacco Products (CTP) Director, Mitch Zeller, J.D., authored a post on the Agency’s FDA Voice blog, which reviewed the progress made to date and outlined several new initiatives related to the Comprehensive Plan. Among other things, these initiatives included a potential e-cigarette product standard and also proposed foundational rules on various topics related to premarket applications. Data from the 2013 to 2014 National Health and Nutrition Examination Survey (NHANES) demonstrated that the prevalence of electronic cigarette (e-cigarette) use in the United States is more common in younger individuals, those at a low socioeconomic status, and current and former smokers. The current analysis, with results published in the Journal of the American Heart Association, used tobacco information from NHANES to examine the prevalence and patterns of recent e-cigarette use in a nationally representative sample of US adolescents and adults. Uganda has taken a strict line on smoking and vaping, and has announced the launch of a ‘snitch line’; residents of Kampala can report anybody they see vaping or smoking. The funding for this initiative comes from anti-harm reduction Mike Bloomberg. The billionaire Bloomberg, three times mayor of New York and former homeless person, is a staunch opponent to the idea of harm reduction and put over $220 million into fighting cigarettes and vapes through his Bloomberg Philanthropies charity. Apart from obliterating the use of nicotine and sugar, the affluent chap would also like to herd sheep across London Bridge during rush hour. The Swedish government has chosen not to provide written observations to the European Court of Justice (ECJ) in relation to a case being brought to overturn the EU ban on the sale of snus outside Sweden, according to a press note issued on Monday jointly by the International Network of Nicotine Consumer Organisations (INNCO) and the NNA Sweden. The case (Case C-151/17) is being brought by Swedish Match, and the NNA UK has joined as an intervener, based on arguments related to consumers’ human rights and the right to health. It’s time for Network Rail and all train operating companies, not just London Midland, to change their e-cigarette policies. As I understand it (and if I am wrong, I will happily make a correction) the existing railway byelaws do not cover e-cigarettes. Take a look for yourself.